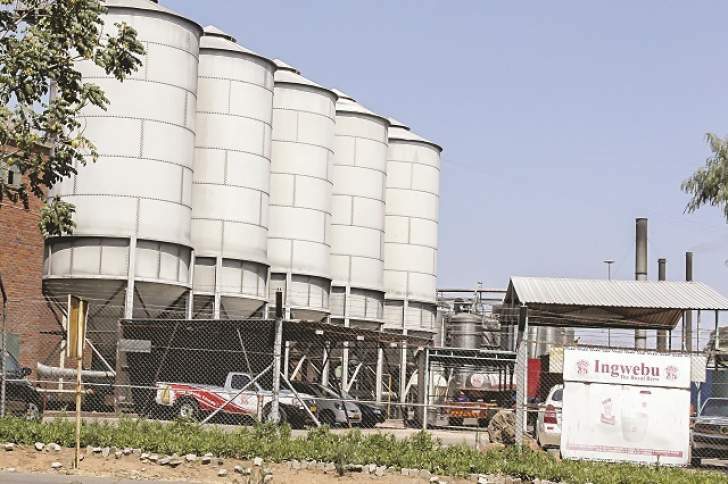 BULAWAYO brewer, Ingwebu Breweries is seeking to expand beyond the southern parts of the country while it also fortifies its present markets as part of a survival and growth strategy meant to pluck the company out of the black hole. The company has over the years underperformed and lost most of its market share to rival breweries due to use of antiquated machinery. The Bulawayo Municipal Commercial Undertaking run entity was weaned from the Bulawayo City Council last year as part of trying to commercialise its operations. Its beer product - Ingwebu - is mainly marketed in Bulawayo, the two Matabeleland provinces and Midlands provinces. In an interview Ingwebu Breweries sales, marketing and corporate affairs executive Mr Ndabezinhle Mlilo said the company was positive in its outlook, with plans to penetrate markets in the northern parts of the country. "Our greatest opportunities lie in expanding into other markets. Currently as you are aware, we are operational in Bulawayo, Midlands, Matabeleland North and Matabeleland South. We will go national. Definitely in future we will get into the northern parts of the country but as of now we can't say when," said Mr Mlilo. Although expansion is on the horizon, Mr Mlilo said the company still largely depends on its traditional markets. "Generally the product's acceptability is very high in Matabeleland. Our people love the product in Matabeleland, Bulawayo and the Midlands where we're currently operating from," he said. The company has increased its visibility by sponsoring a number of activities and was at the fore of the Ingwebu Dance competition. "It's a common product. It's a product that people identify with. We all know that. I'm sure you have seen that we have done a few initiatives. You have seen what we have done to create that embrace," said Ingwebu's head of marketing, development and research Mr Sindani Khumalo. His views were echoed by Mr Mlilo, who said the cultural diversity in the areas where Ingwebu was operational necessitated the festivities. "Our product has a very strong equity in the market that we operate in and I would say that equity is localised equity. The promotional initiatives were about embracing and celebrating the diversity that's in our market. Our market is unlike other markets. "Our market is really a representation of different cultures and different languages and we are tapping into that diversity. We are saying within that diversity, at the centre of it is Ingwebu. Ingwebu is the common denominator," he said. While it was facing challenges, other breweries made product improvements that have seen them pull away significantly from one of the few local authority run breweries in the country. Despite this, Mr Mlilo said Ingwebu would not try to emulate any of its competitors. "Ingwebu and Bulawayo are inseparable. Ingwebu and Matabeleland and Midlands are inseparable. So many people come up with different ideas on how we can improve our products and how we can modernise and become a state-of-the-art company in the 21st century. We do look into those ideas and put some in motion through our research and development wing. "But we are Ingwebu and we don't wish to be anyone else. In terms of making improvements and having a long shelf life, that's all in our plans. I can't say we would want to be someone else and we will improve on ourselves according to our plan," he said. After years of loss making, Mr Mlilo said the outlook was currently positive for Ingwebu. "Judging by our market standing as of now, when I talk of market standing I am talking about sales, market share and globalised brand equity, I think we are in the thick of things. We are not far off from where we want to be. The picture says it all, if you go out into the market right now and see what the product is, then you'll see that Ingwebu is indeed in the thick of things," he said.